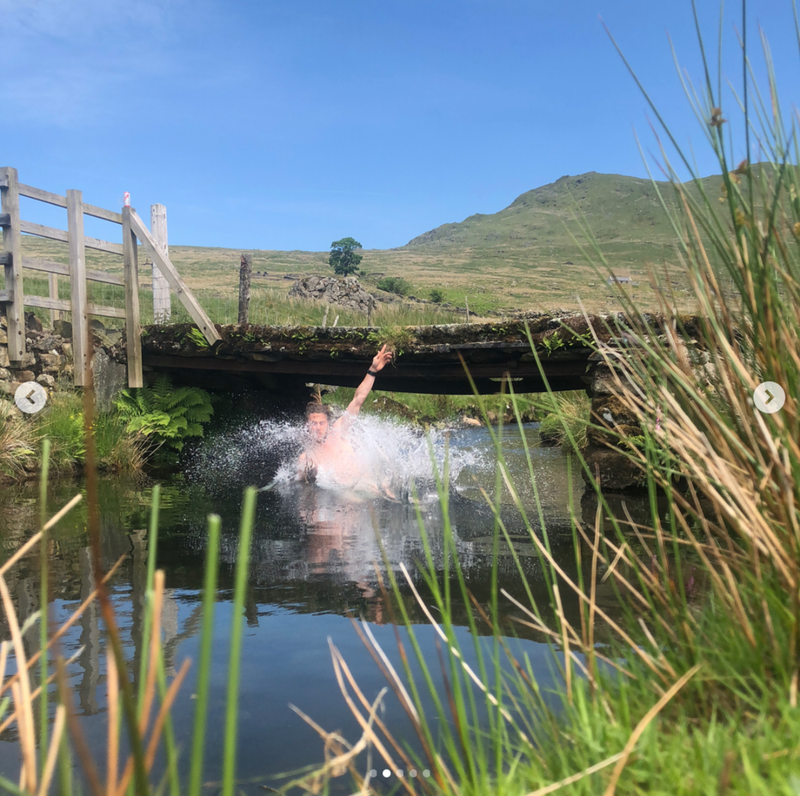 Have you ever heard about or even tried wild swimming? Think of all times spent walking past lakes, seas, streams, waterfalls - instead of just walking past would you ever consider taking the plunge and stripping and dipping! However, particularly in North Wales, I believe wild swimming has always had its place. Early morning swimmers can usually be seen before sunrise walking through Llanberis village towards Llyn Padarn in their wetsuits carrying flasks of tea and coffee. As the sun rises the light catches their bright luminous buoys bobbling along softly and slowly in the water. 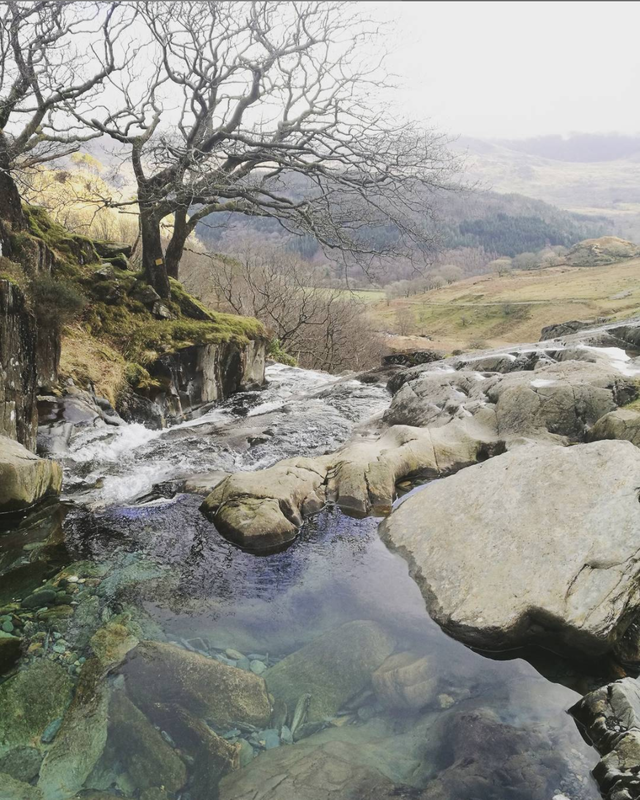 In summer the lakes, waterfalls and streams in and around Snowdon become busy with locals and visitors looking for a refreshing cool down after a long trek and what more splendid than a dip in a fresh mountain pool. As mentioned previously Llyn Padarn is an ideal place to try wild swimming with shallow waters in the lagoons and short expanses of water to swim across. The water in Llyn Padarn is also designated as bathing water by Gwynedd Council and meets the highest EU guidelines with lots of parking and a free public toilet. There are also paddle board and kayak hiring facilities if you would like to make a day of it by the lake and being in Llanberis you have pubs, restaurants and shops nearby. 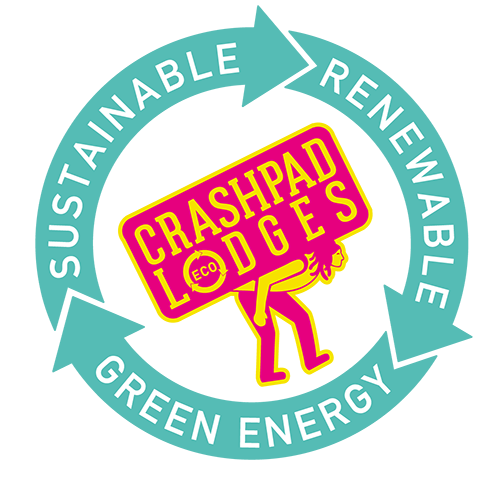 Crashpad Lodge is a 20 minute walk from Llyn Padarn. Located a little off the Snowdon Watkins Path within walking distance of Crashpad Lodges, this series of pools is a rather well-kept secret. Idyllically situated and perfect for wild swimming, this is the ideal place to while away a summer’s day. One of the most remote lakes, found just beneath Llanberis Path close to Crashpad, Llyn Du’r Arddy is overshadowed by a rock outcrop. Only accessible by foot, the lake has a small beach and gets considerably deeper as it reaches the rock face. It is said that Welsh fairies the Tylwyth Teg live about the lake and another folklore that Llyn Du’r Arrdu is the entrance to the underworld! This is quite possibly one of the most beautiful swimming spots in the world. Floating on your back and being surrounded by the snowdonia mountains is incredible. The furthest away from Crashpad but still walkable, Llyn Gwynant which is one of the great lakes of North Wales – swim across to Elephant Rock and jump in the cool waters. Lying on the River Glasyn, this 124-acre (50 hectare) lake is just 1,8 miles (3 km) from Mount Snowdon. I will declare that one of the most beautiful spots to wild swim and I maybe bias has to be the stream running past Crashpad Lodges. Fresh running mountain water straight from Snowdon – it is the most beautiful and exhilarating feelings in the world. Watch out for the leaping salmon! I am not an expert in wild swimming however I do know that at least a 6mm wetsuit is very handy and warm. A pair of goggles, a swimming buoy with whistle and wetsuit boots will make walking in and out of the water pain free. Always look as colourful as possible when swimming and preferably go with a friend. Oh and a warm pair of clothes to change into. So why wild swim? Bathing in a secluded location surrounded by nature away from the hustle and bustle of busy life - the cold water makes the body kick out great feel-good hormones that makes you feel alive and fresh. I for one would take a fresh cold mountain stream over hot tub any-day. So here’s to wild swimming. Go on, take the plunge!